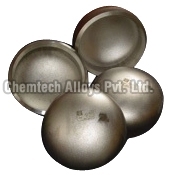 Chemtech Alloys provides high grade Steel Cap in various shapes and sizes. Our Stainless Steel Cap is constructed from high quality raw materials, which guarantees its durability. The industry-specific design makes our Steel Cap highly creditable in the market.